Last year, as part of my Project 365, I’ve experimented with several different practice materials to see what would help me improve the quickest and most efficiently. To start, I’d like to say that it’s good to mix up your practice sessions, so don’t stick to any one kind of resource. It’s good to constantly challenge yourself and try new things. If you’d like our free Project 365 worksheet, you can download it here. Etudes are really great for sight-reading and really focused studies. 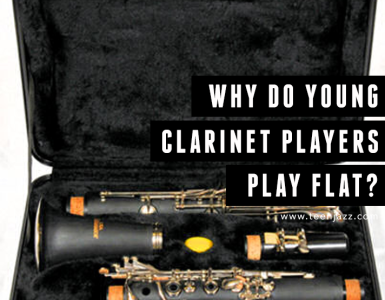 If you’re having an issue with any aspect of your playing, there are almost always etudes that focus on helping you improve those areas. I keep a large collection of etudes on hand in a variety of styles to keep my sight-reading abilities up. Scales are a great way to warm up your fingers and they are also a fantastic way to familiarize yourself with various keys. I suggest learning major scales, minor scales, chromatic scales, thirds, arpeggios, fourths and other scale-like patterns in every key. They can be quite fun to play and they force you to learn to move around comfortably in the more difficult key signatures. Long tones, patterns, tonguing or picking exercises are another great way to warm up your fingers and help you improve things like your tone, articulation, pitch, etc. Warm-up exercises aren’t always a lot of fun to do, but they can really help eliminate inconsistencies in your playing. Book transcriptions can be a great resource. I particularly like the Charlie Parker Omnibook and I also have a few others. I don’t seem to internalize the book transcriptions I study quite as well as the transcriptions I do from recordings, but I think they work well in that they allow you to really study harmony. You can see which notes the performers are choosing over to play various chords, what scales they’re using and which arpeggios. This past year, this has been the best way for me to improve. It allows me to really push myself and forces me to “use my ears.” I’ve learned quite a bit of new vocabulary studying various recordings and this has been an incredibly helpful and beneficial way for me to practice. I’m not suggesting that you should practice on a gig, but any time you’re out performing, you’re getting experience and you’re learning. 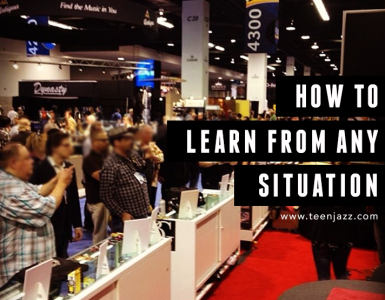 Plus, you get to see which aspects of your practice “stick” in a live situation and which you need to keep working on. Playing track gigs presents the challenge of creating an energetic live performance without the help of other musicians. It also helps you build your playing endurance because you’re playing far more than you would be if there were other musicians. Playing with other musicians (especially when they’re better than you) is a great way to grow and improve as a musician. I recommend doing this as often as possible if you really want to push yourself. But, you can’t just go and play and expect to get better. You have to be willing to stretch and try new things, let the other musicians push you places you wouldn’t normally be comfortable going. See live performances above. Jam sessions are a great way to “test” yourself. If you’re not sure whether or not you’re ready to gig, you can head out to jam sessions to get live performance experience and test the waters. You’ll meet a ton of other musicians at various levels, play new material, get ideas for tunes you want to learn and more. Recording requires a completely different approach to performance than the live setting. It requires a higher level of execution and an entirely different energy. You can always practice recording yourself on your own – you can write songs and record yourself playing or singing along, you can record along with karaoke tracks or create your own tracks for your favorite songs. 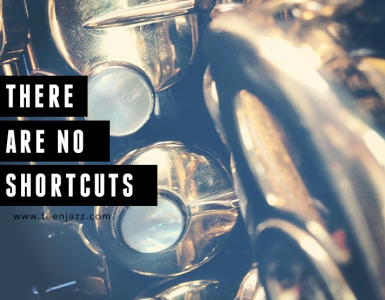 Whether or not you play in the jazz genre, I think improvisation is a great thing to practice especially if you’re interested in composition. There are great instruction books that help illustrate improvisation methods, but you can also find a ton of videos on Youtube for free. The more material you know, the more opportunities you’ll have to perform. I recommend learning a ton of the music in the style you perform, but it’s also fun and beneficial to step outside what you’d normally play and learn something in an entirely different genre. You never know what kind of ideas you’ll get. What do you like practice?